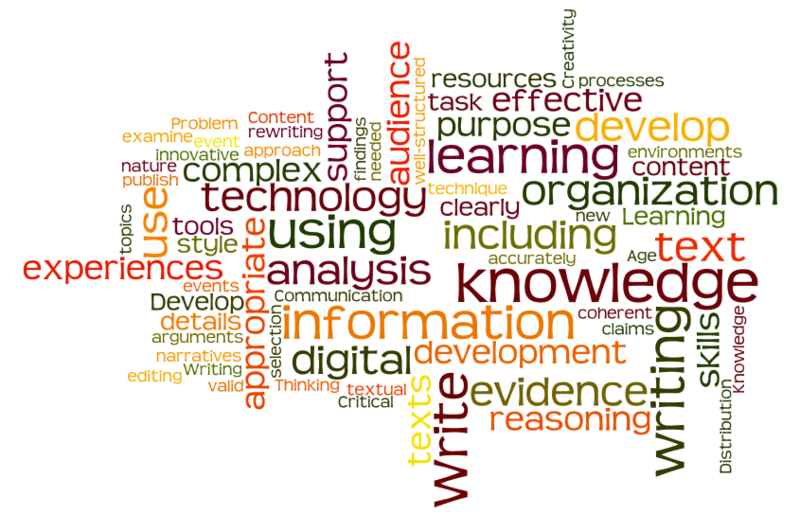 The Wordle to the left was created using all of the text from the standards addressed by the learning activities and strategies outlined in this project. How excited I was to see that the word "knowledge" is so significant, because wheather we teach writing, reading, social studies, or science, literacy is at the center of knowledge acquisition. 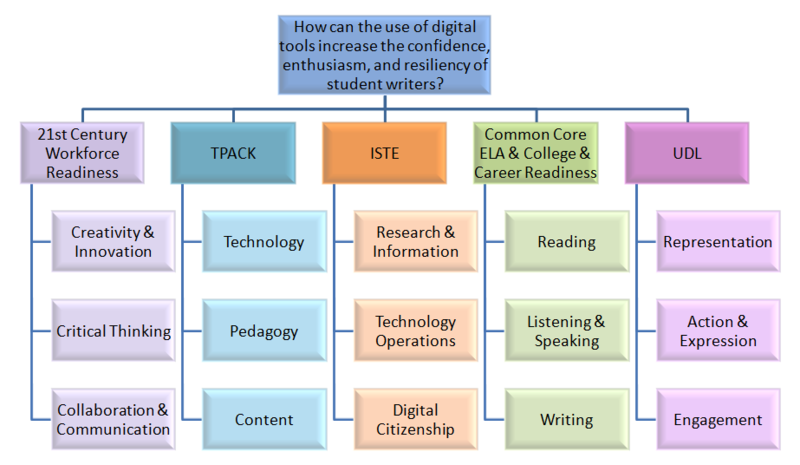 Below is my own standards map for the learning activities and strategies associated with helping students become confident, enthusiastic, and resilient writers.